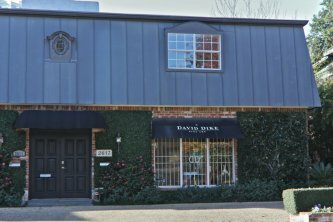 David Dike Fine Art was established in 1986. The David Dike gallery specializes in late 19th Century and early 20th Century European and American oil paintings, with an emphasis on the Texas Regionalists and Texas Landscape Painters. David Dike Fine Art's annual Texas Art Auction held each October has become a tradition that Texas art enthusiasts anticipate every year. Since 1986, DDFA has been pleased to introduce an increasing number of buyers to the Texas art scene. We encourage you to find out more about this growing trend of regionalism in art and welcome your inquires about upcoming events and auctions. David Dike is a member of the Dallas Art Dealers Association and a contributer to various books on Texas art. He is highly regarded nationally and is recognized as an authority on Texas art.